Last weekend was significant for two reasons - firstly, just when we thought that Spring had sprung, the weather came out fighting and gave London a bone chilling snowy blast from Siberia. Secondly, the globe trotting Whisky Live show rolled in to town. This year the event was once again held in The Honourable Artillery Company, close to the City of London. The impressive building is a historic 18th Century mansion set in six acres of garden. 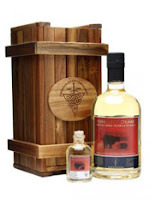 The Abhainn Dearg distillery is located on the Scottish isle of Lewis, the most westerly and largest of the islands in the Outer Hebrides. It was founded in 2008 by islander Mark Tayburn and was built on the remote far western coast of Lewis, close to the tiny hamlet of Uig, in a converted derelict fish farm. The proviso was to produce hand crafted spirit in a traditional way. Abhainn Dearg (pronounced aveen-jarrek) is translated as 'red river' from the local Scottish Gaelic dialect and refers to the colour of a local river. It is the first ever legal distillery in the Outer Hebrides. 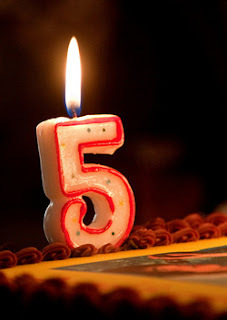 Today is a big day for us - we are celebrating the 5th birthday of Whisky For Everyone this evening with a group of people who have helped and supported us over the last five years and have become our friends. This is being held at the newly refurbished tasting room at the Scotch Malt Whisky Society in London, who we thank hugely for letting us use the venue. While our 'official birthday' is next week on the 28th of March, we decided to be like the Queen and have two. Like all five year olds, we will be opening some of our presents early and sharing them with our guests tonight. A full blog post about the party and the whiskies, plus plenty of pictures will be appearing over the next few days. In the mean time, we will be tweeting from the event so look out for the hashtag #WFEis5. Each year, there are a few eagerly anticipated whisky releases that generate lots of interest and get consumers and whisky fans all excitable. Highland Park Loki seems to be one such release. 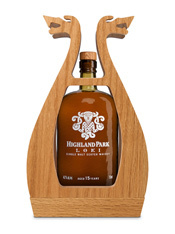 People have been searching for clues and snippets of information for months about this second single malt from Highland Park's Valhalla Collection, following the universal acclaim gained by last year's first release named Thor. Balcones is an American distillery that is gaining plenty of recognition and attention at the moment. It is based in Waco, Texas and was built by hand by founder Chip Tate with the help of his two other distillers. Since the first product was launched in 2009, the distillery has racked up over 25 national and international awards for their whiskies including the prestigious Whisky Magazine Icons of Whisky - Craft Distiller of the Year award in 2012. 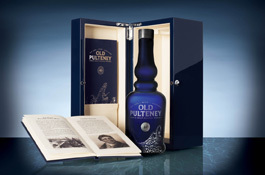 Old Pulteney Distillery is the northernmost mainland distillery in Scotland. Located in the town of Wick, the distillery is squeezed tightly into the surrounding streets and buildings and space is at such a premium that the Wash Still has had to be designed with an unusual flat top so as to allow it to fit into the Still Room. Luckily the compromise with the still shape has not adversely affected the quality of the whisky produced and the Old Pulteney 21 Year Old was rated as the best whisky of the year in whisky writer, Jim Murray’s 2012 Whisky Bible. 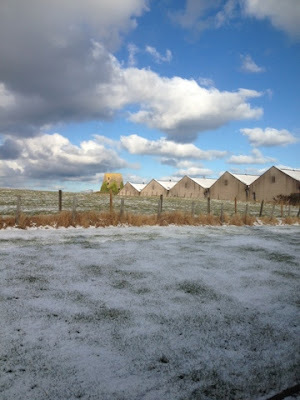 Earlier in the week we paid a visit to a distillery and set you a challenge - guess where we are? 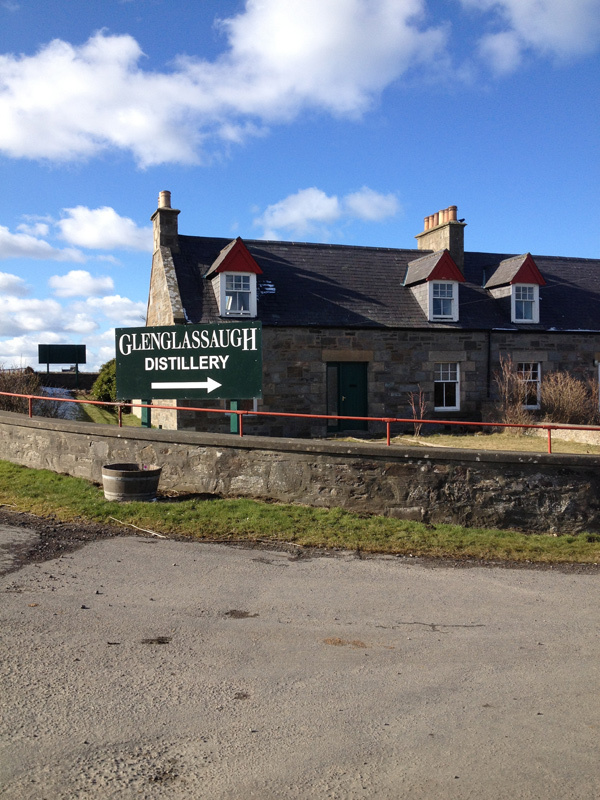 As we revealed the other day, we were in fact at the lovely Glenglassaugh distillery in the east Highlands. We had plenty of correct answers, and some not so correct, and most of those who were correct had spotted the ruined windmill in the above photo. We have now selected the winners and these are listed below. Stephen Heritage from Farnborough in Hampshire, England. Michael Woods from March in Cambridgeshire, England. James Wicks from Slough in Berkshire, England. Mr G. Murray from Elgin in Moray, Scotland. Malcolm Russell from Glenrothes in Fife, Scotland. Martin Eber from Sydney, Australia. John Jarmyn from Sidcup in Kent, England. Andrew Dean from Halifax in Yorkshire, England. Chris Janeson from Glenrothes in Fife, Scotland. Mark Cacopardo from Hannover, Germany. We had 10 samples to give away for those correctly identifying the distillery, which were kindly donated by Glenglassaugh. 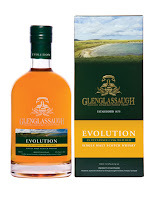 The sample in question is the recently released Glenglassaugh Evolution, a cask strength limited edition which is bottled at 57.2% ABV. Read our tasting notes of this whisky by clicking here. We had a great time at the distillery and will also be posting photos and a full review of our visit in the next few days or so. Thanks again to all who entered and well done to all of those who won the samples. They should be with you shortly. If you didn't get it right this time, then look out for another nice competition which we will be announcing very shortly. Remember - you've got to be 'in it to win it'. PLEASE NOTE - This competition is now closed and any answers submitted cannot be considered. We have had a great number of entries and we thank anyone that took the time to do so. 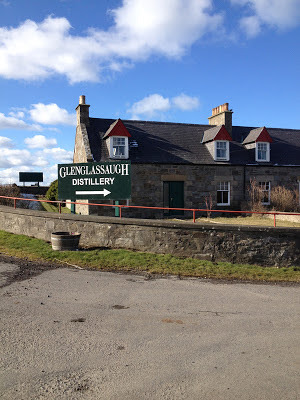 We can now reveal that we were visiting the GLENGLASSAUGH distillery yesterday and we will be getting in contact with those who correctly identified the distillery shortly. Well done to those that knew, and some even identified the ruined windmill in our photo. The prize is a sample of the recently released Glenglassaugh Evolution, a cask strength limited edition which is bottled at 57.2% ABV. A full list of winners will be published once we have contacted them all. 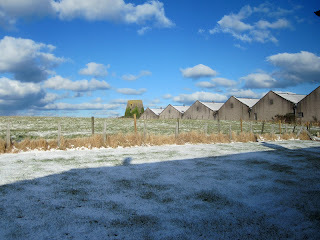 We had a great time at the distillery and will also be posting photos and a full review of our visit in the coming days. Thanks again to all who entered - if you didn't get it right this time, then look out for another competition which we will be announcing shortly. This new whisky is the latest in Auchentoshan's vintage series from the 1970s. Other expressions in the series include the 1975 Bourbon Cask and 1977 Sherry Cask, which we have previously reviewed. Auchentoshan is unique amongst Scottish whisky distilleries as they triple distil every drop of their spirit using three stills. Elsewhere in Scotland the common practice is to distil twice, whereas triple distillation is more commonly associated with Irish whiskies. News of a new Balvenie release always gets the whisky blogosphere and consumers excited, and the news of this latest expression is no different. 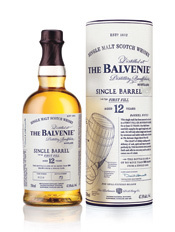 The Balvenie Single Barrel 12 years old has just hit the shelves in the UK market and will sit alongside the popular core range of Balvenie single malts. A series of single first fill ex-bourbon casks have been hand selected by Balvenie's legendary Malt Master David Stewart for this release, and each cask will be bottled one at a time. 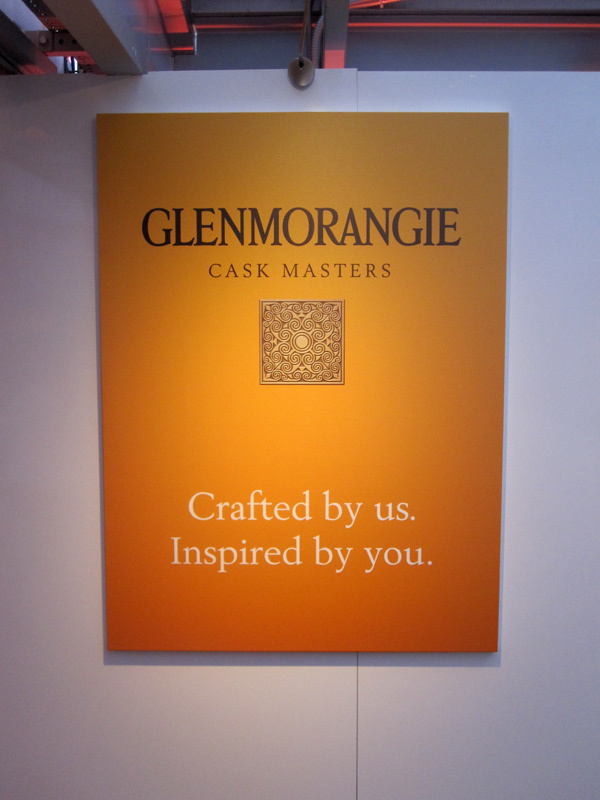 Last week, we were delighted to have been invited to the world launch of the Glenmorangie Cask Masters - an innovative new online initiative designed to engage worldwide fans and consumers of the famous north Highland single malt. The event was held in the impressive surroundings of The Deck, a room at the top of the National Theatre which provided panoramic views of London's iconic skyline, the South Bank and the River Thames. The Cask Masters gives consumers the chance to select which Glenmorangie whisky they would most like to be bottled and then follow the whisky through four further stages, until its launch in late 2014. Burn Stewart Distillers, the owners of Bunnahabhain, have released the oldest ever expression of single malt scotch whisky from the Islay distillery at the end of 2012 - 40 years old Journey of Discovery. The whisky was a pleasant discovery by Master Distiller, Ian MacMillan, who came across it in the distillery ledgers noting that it was stored in one of their warehouses. 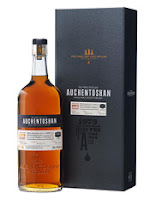 As a result it has a limited quantity of 750 bottles available. 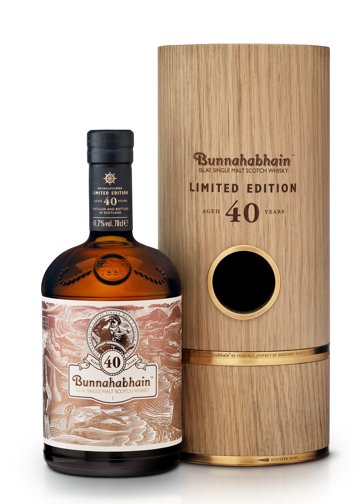 The 40 years old will be available in specialist retailers in selected markets worldwide for around £2000. Welcome to this week's Inbox - is it really March already? For those that have recently discovered us, Inbox is our weekly round up of whisky news and PR material that has found its way in to our email inbox. It was created as we cannot write full articles or do justice to every piece received. It features items from around the world of whisky and is published by us each Friday.